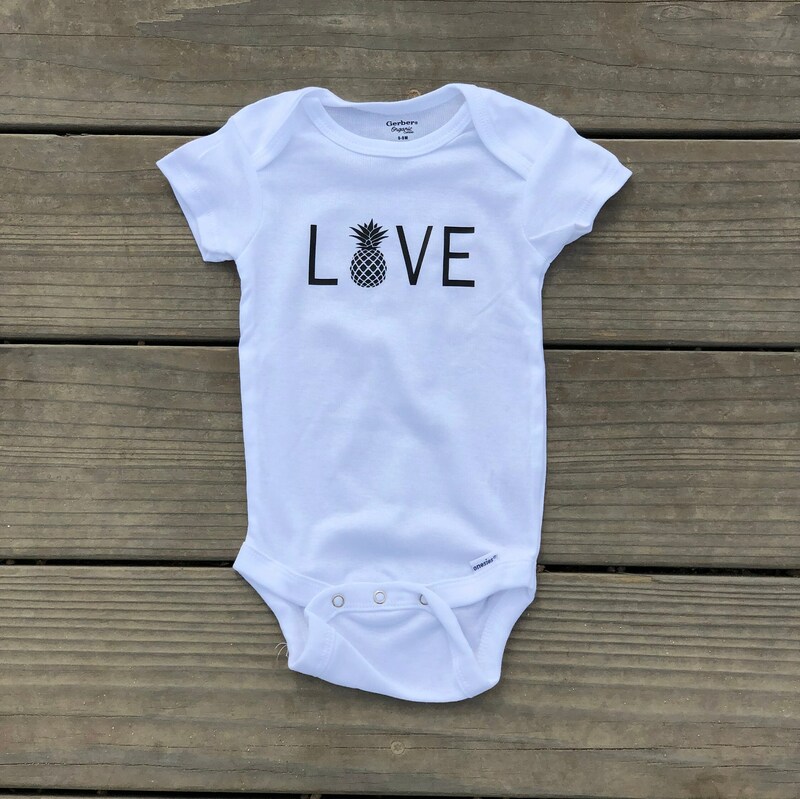 Love With Pineapple White Bodysuit For Infants. 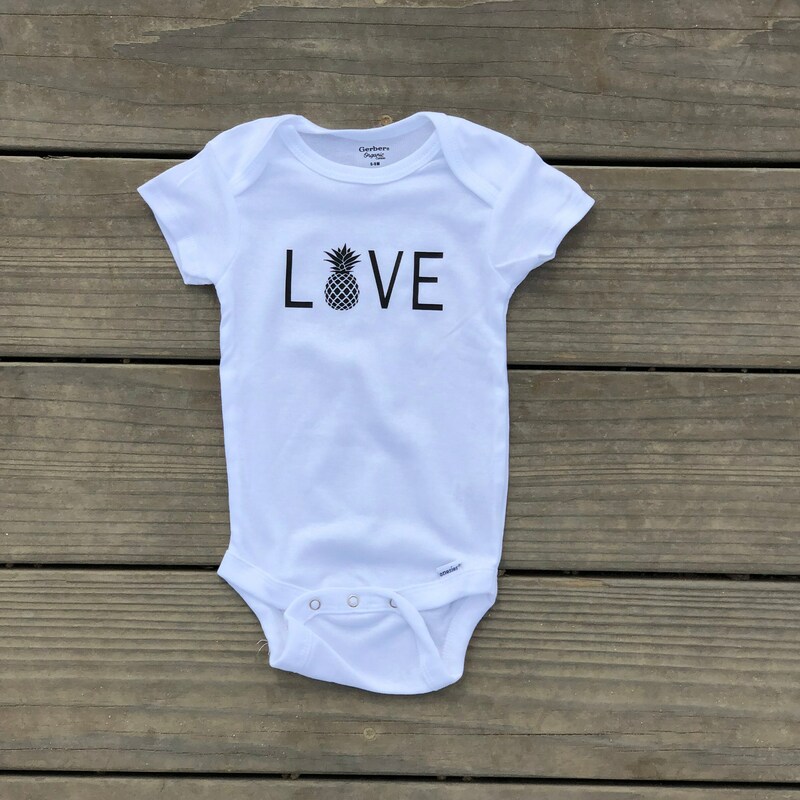 Love with pineapple - black font bodysuit for infants. * unisex bodysuit for infants. * Made with 100% organic cotton. Machine wash warm with similar colors. No bleach. Tumble dry on medium. Professional grade heat transfer vinyl, pressed with an industrial grade heat press.